Important videos that help with the "search for God's Truth"
NOTE: Proper viewing of any of the Searching For Truth videos requires a broadband Internet connection (e.g cable, DSL, wireless Internet.) and also requires that a compatible media player software (such as Adobe Flash Player) be installed on your computer. The alternative "audio only" (mp3 files) of the videos can be heard with any media player installed on your computer, and even works with a much slower Internet connection. 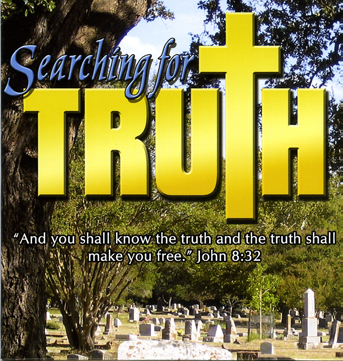 If you prefer to have a free DVD of this Searching for Truth video series mailed to you, please click Here or call (530) 677-4502.